Australia ranked number one in the world for searching the term ‘vegan’ in 2018, so it would appear we have a penchant for the animal-friendly products. 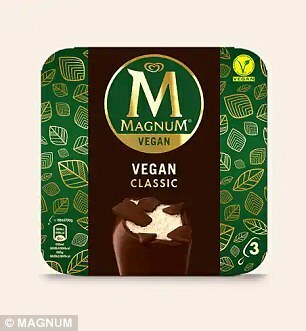 It will come as no surprise then that plant-based eaters the nation over are cheering now that iconic ice cream labels Magnum and Cornetto have released vegan versions of their treasured summer treats. 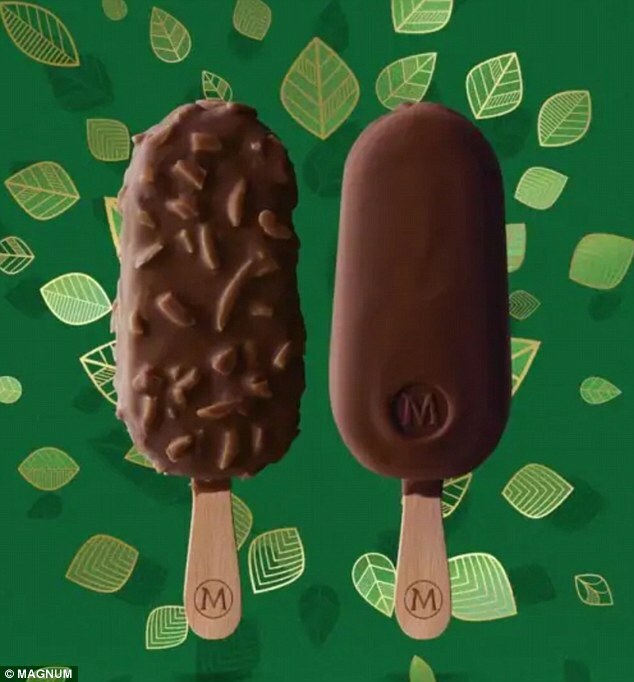 The chocolate-laden delicacies have long been made with cream and milk chocolate but are modernising to reflect the world’s changing dietary requirements. 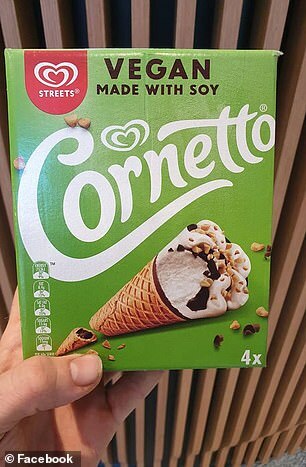 Woolworths currently stocks the vanilla-flavoured Cornetto’s for $9 a pack – and there are four ice creams inside – naming soy as the main ingredient. 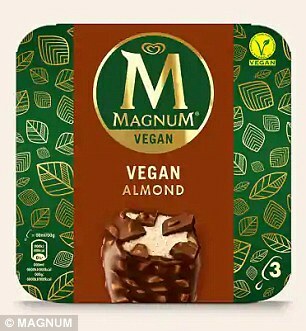 It has already been very well-received by the vegan community, many of whom are glad it doesn’t contain peanuts for those with nut allergies. ‘Might have to go to Woolies for the shopping this week,’ one person commented on Facebook. 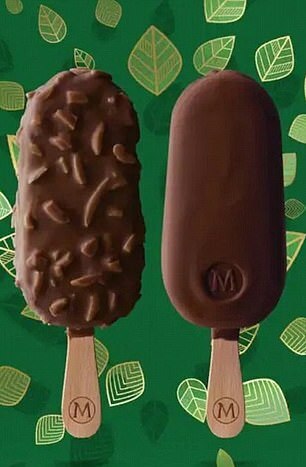 ‘They are delicious… Our dairy-free son loved them,’ another said. 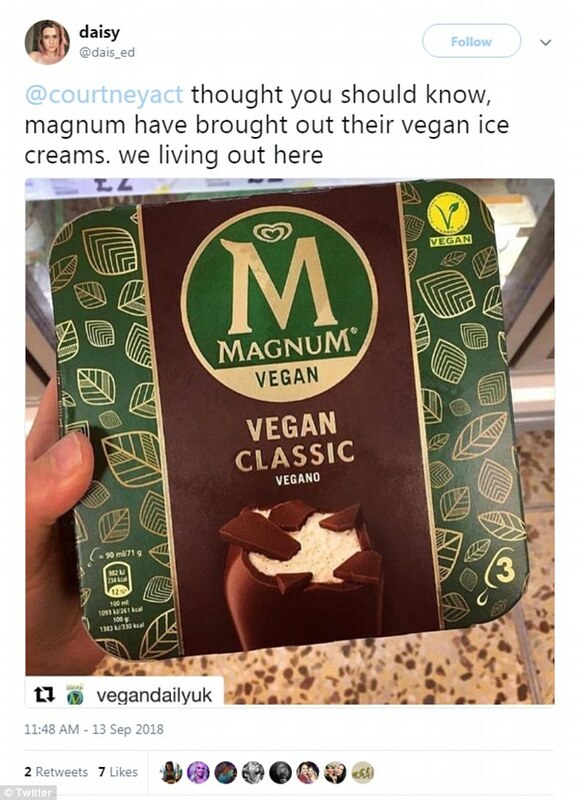 The Vegan Classic is similar to the brand’s signature snack having a solid chocolate couverture wrapped around ice cream inside. The new release comes after two successful launches in Sweden and Finland and the UK. Vegans on social media have been saluting both Streets labels for their delectable offerings. ‘Anything that makes plant-based options more accessible and appealing to all is brilliant. I’m excited. The speed of change is breathtaking,’ one person wrote. According to the latest YouGov Galaxy research on Australians’ Food Preference and Avoidance, around 67 per cent of Aussies choose to restrict their diet. While the nation embraces the new norm of diverse and flexible dietary choices, 39 per cent still feel judged about their food preferences and close to one third (30%) avoid telling people their dietary requirements. Dietitian and nutritionist Susie Burrell said Australians are just committed to making healthier food choices. ‘There is no magic formula to the perfect diet as our bodies are very different. Finding the right balance is key,’ she said. 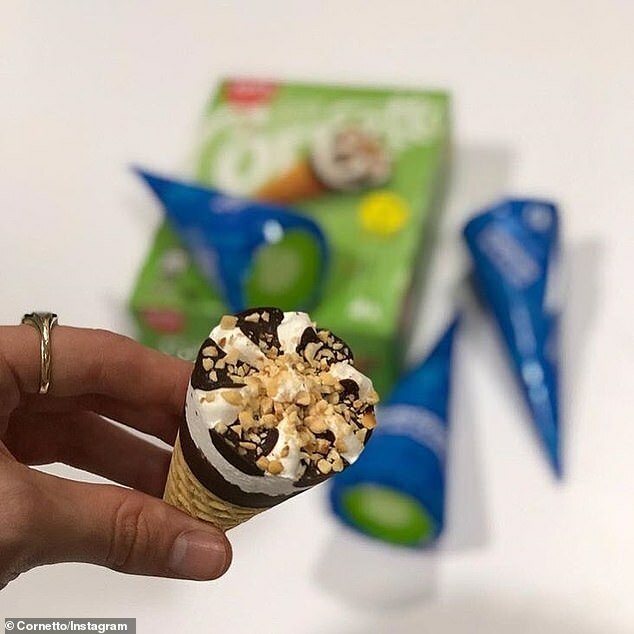 ‘Consumers are looking for food options that are healthier, lower in sugar, fat, and carbs, at the same time we are also a nation of ice cream lovers.